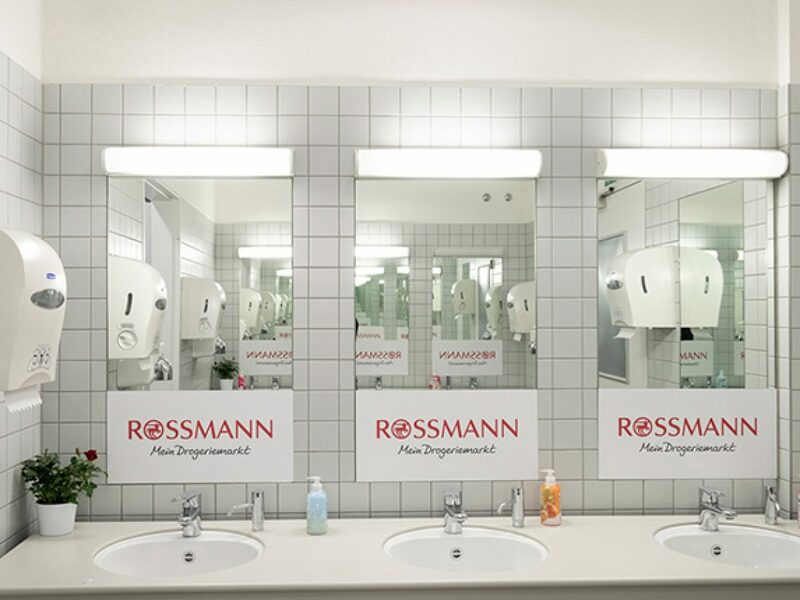 A must for attracting casual customers – use the busy corridors connecting the halls for your advertising message. 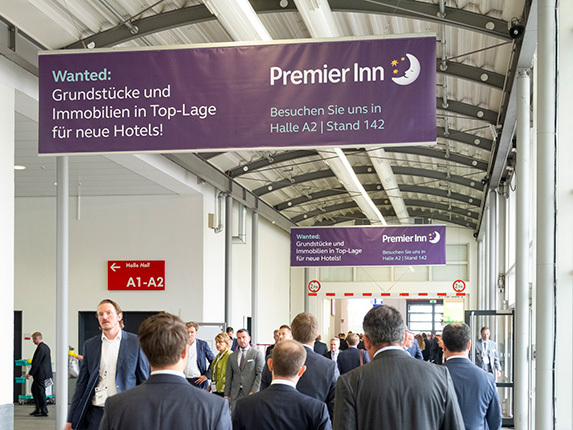 The two-sided banners are bound to grab trade fair participants’ attention straight away. Make sure you get one of these first-class locations in the hall entrance area. 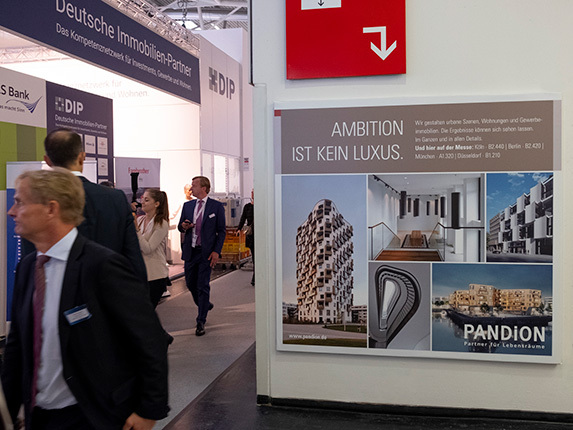 The large-format spaces sited immediately after the connecting corridors to the halls address participants as soon as they enter the hall concerned and are ideal signposts to your booth. 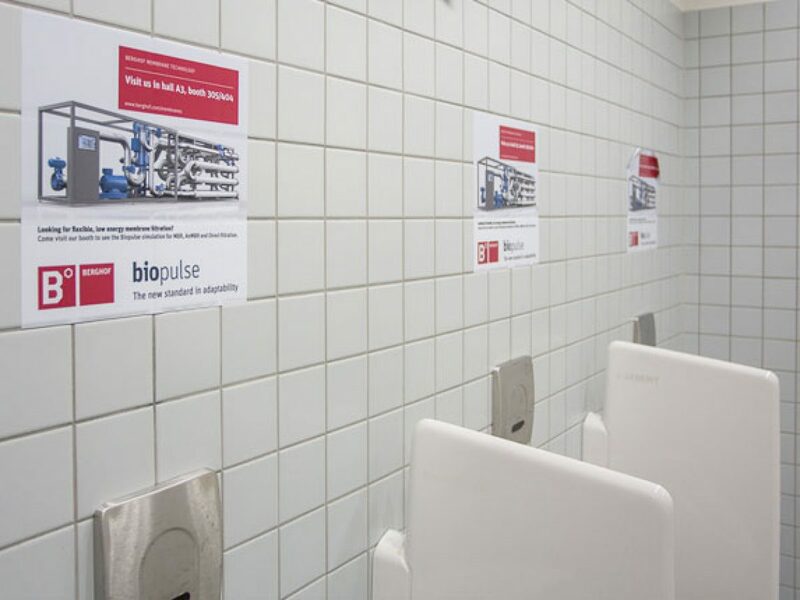 Put your business into focus with stickers and decals, e.g. on mirrors or walls. A highly unusual form of advertising that is bound to put you on a firm footing with your customers. 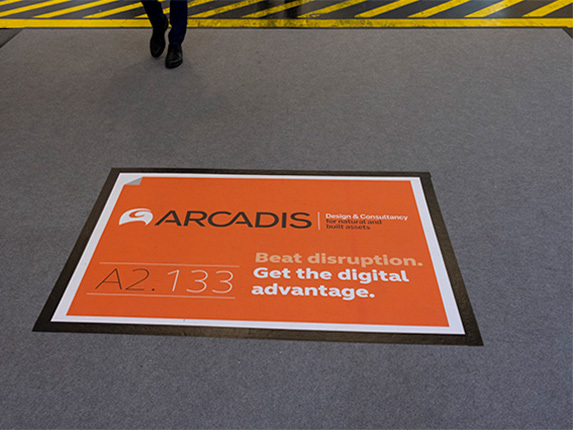 The floor areas with your advertising message can be booked at strategically important locations throughout the entire trade fair center.